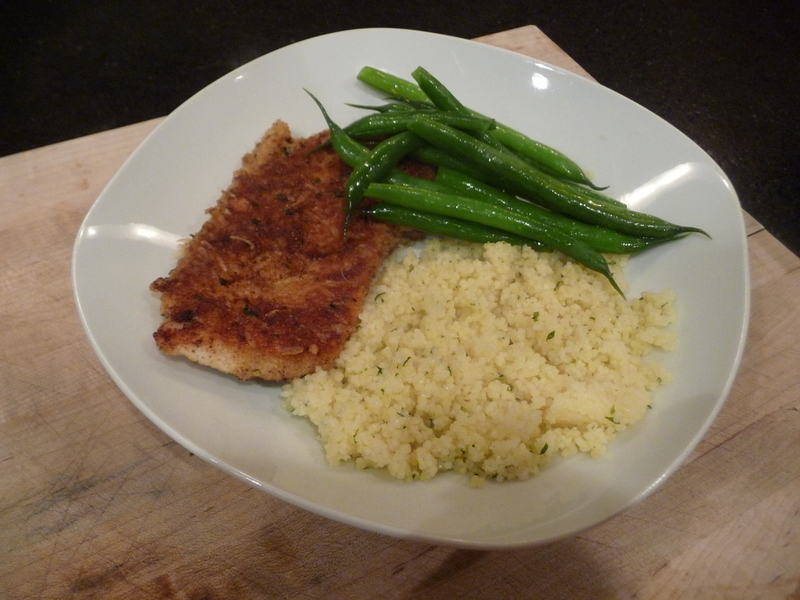 This is another Ina Garten miracle which takes basic breaded chicken cutlets and gives them that extra somethin-somethin'. I've made these with seasoned bread crumbs, and also with panko breadcrumbs. I've used the fresh breadcrumbs as well but it's a different texture. For these, I actually prefer the dried. Set up one shallow dish with the flour, another with the eggs, another with the breadcrumbs mixed with the parmesan. Dredge the chicken in the flour, shaking off the excess. Dredge in the eggs, then in the breadcrumbs, patting them gently to make them stick. Fry both sides until golden brown, about 4 minutes a side. Keep warm on a platter while you fry the rest. Redman refers to this as chicken-in-the-pan and always must have applesauce or stewed apples on the side.